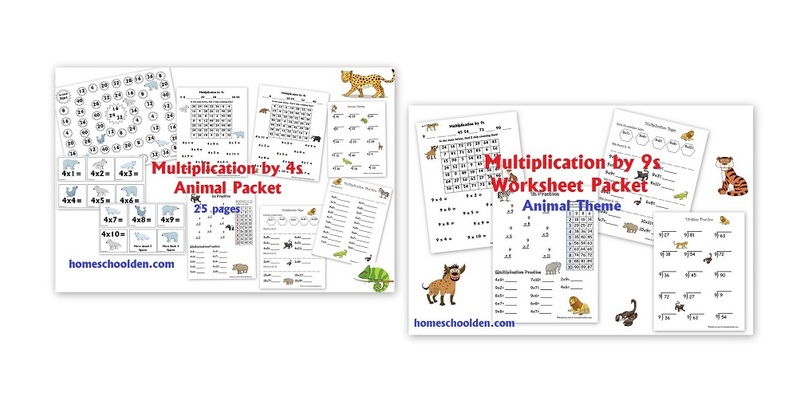 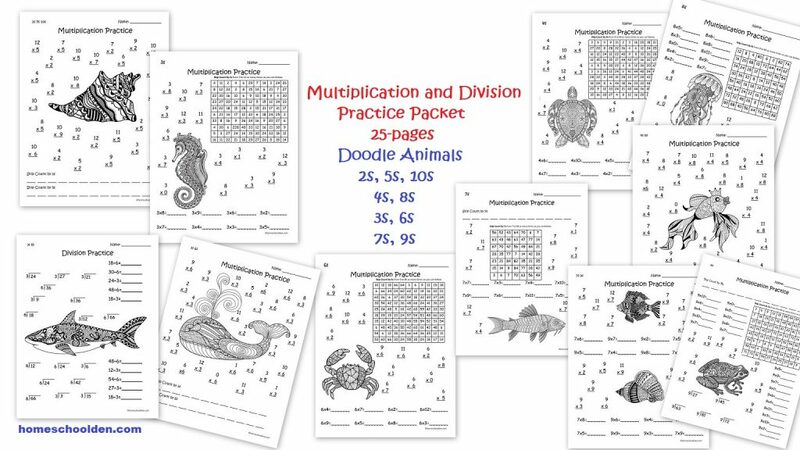 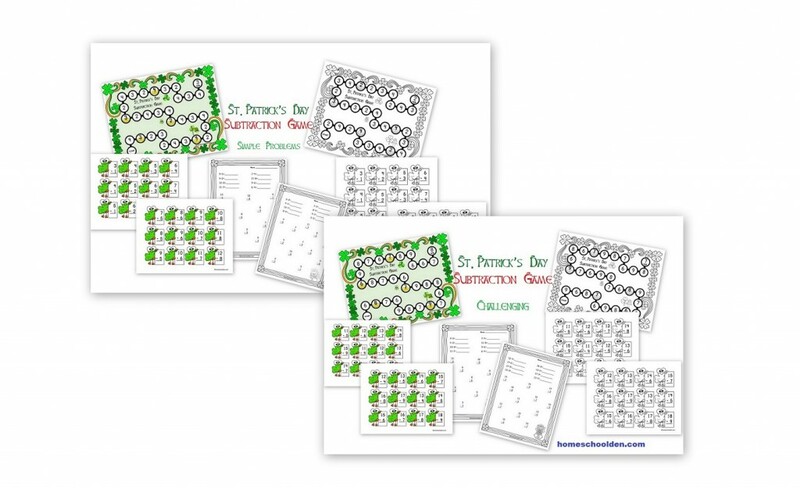 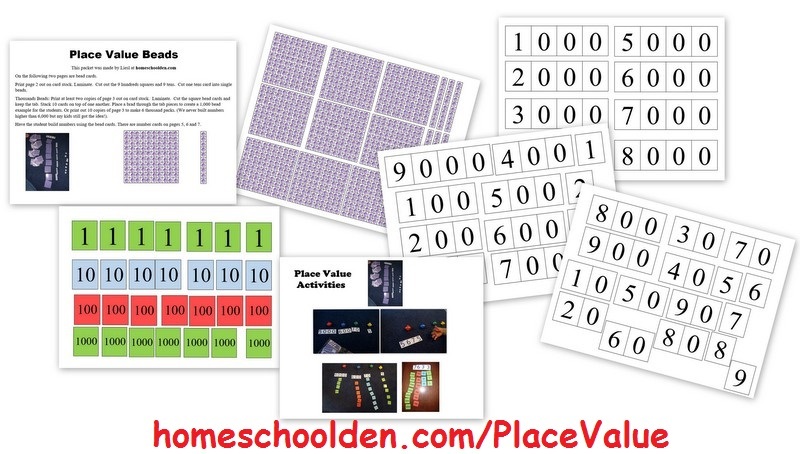 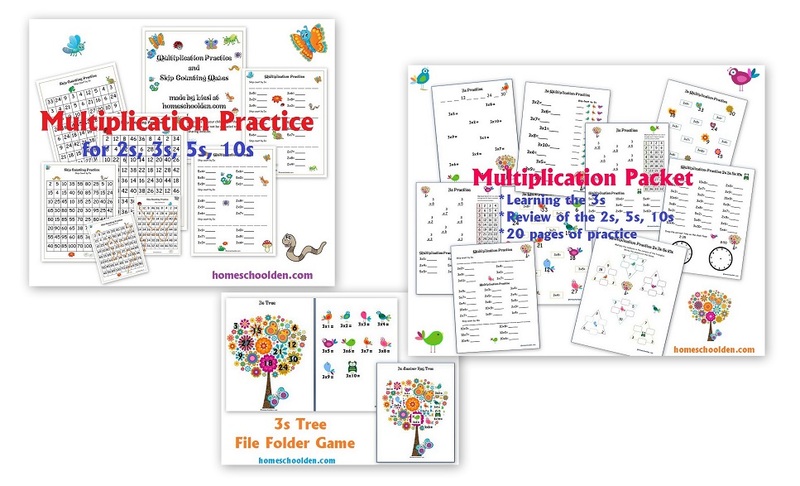 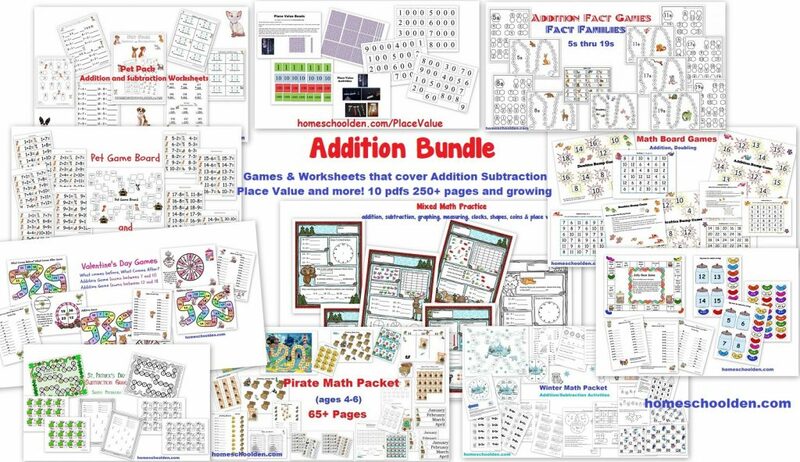 As many of you know, I have been adding to the Addition and Multiplication Bundles throughout the year. 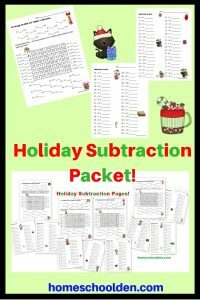 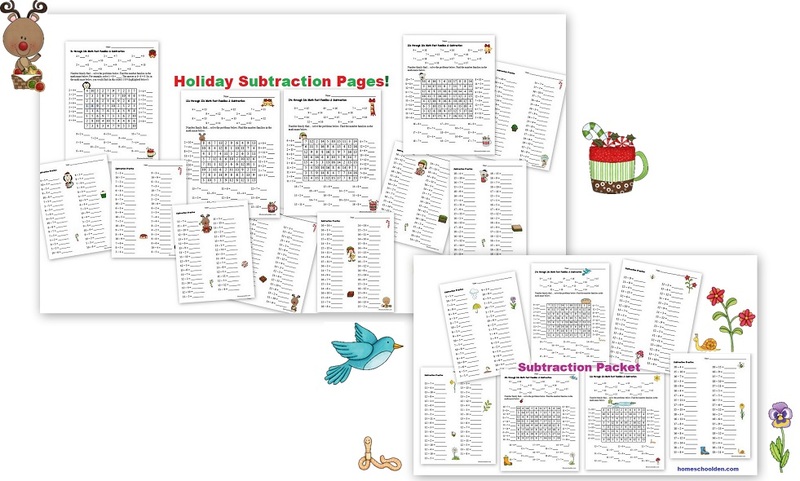 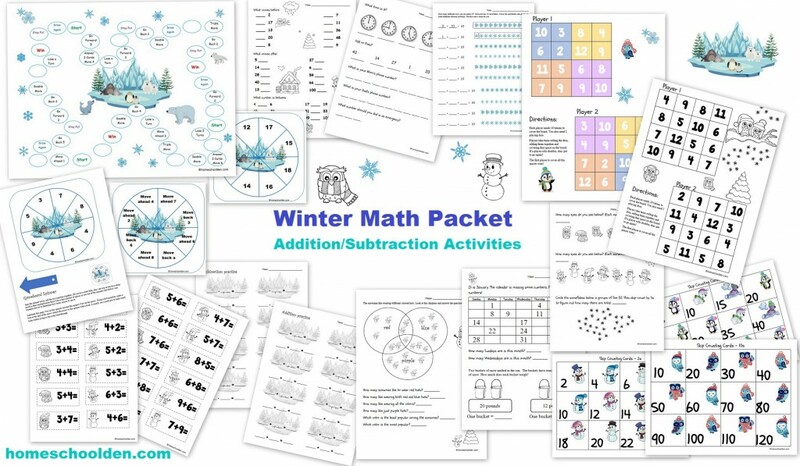 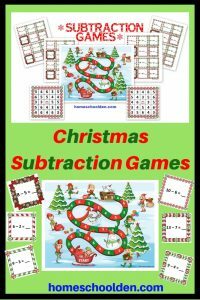 Last week, I just added a new Christmas Subtraction Packet to the Addition Math Bundle. 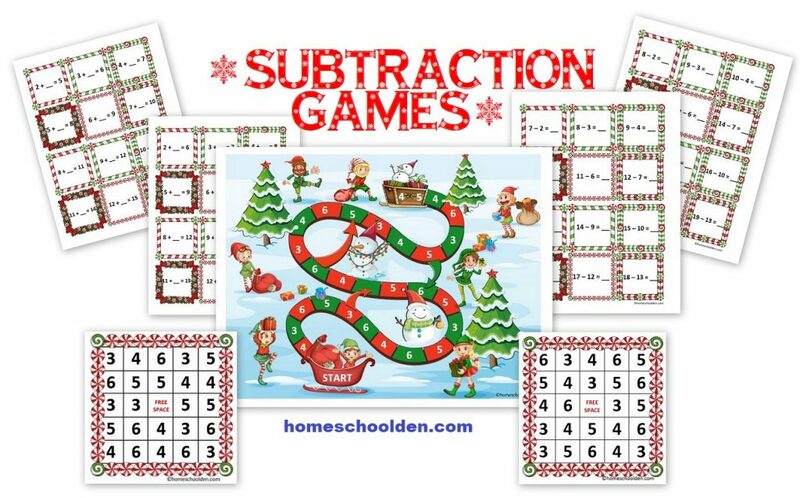 Today I added some Subtraction Games! 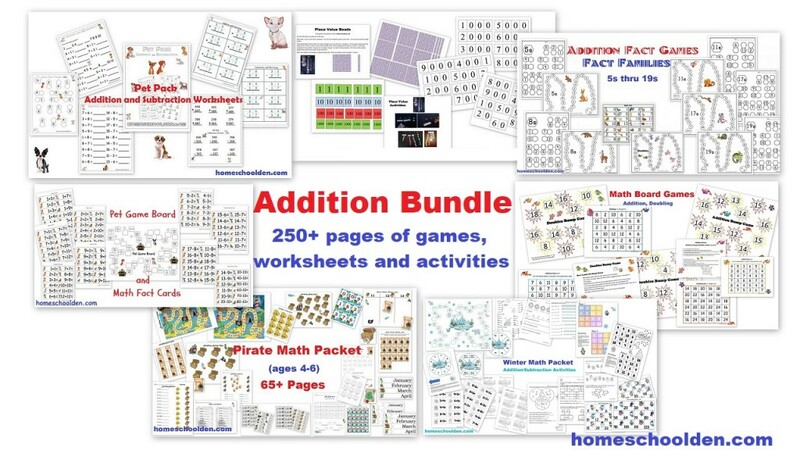 The Addition Bundle is a bit mis-named because it includes addition and subtraction worksheets, games and activities as well as place value, measure, clocks, shapes, graphing and more! 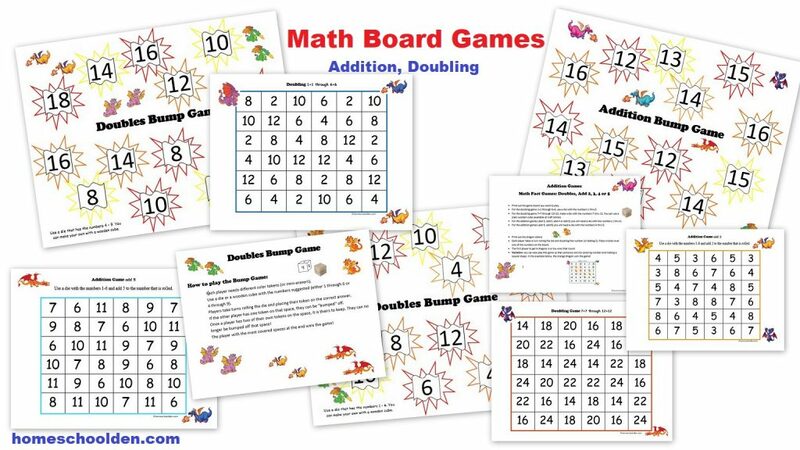 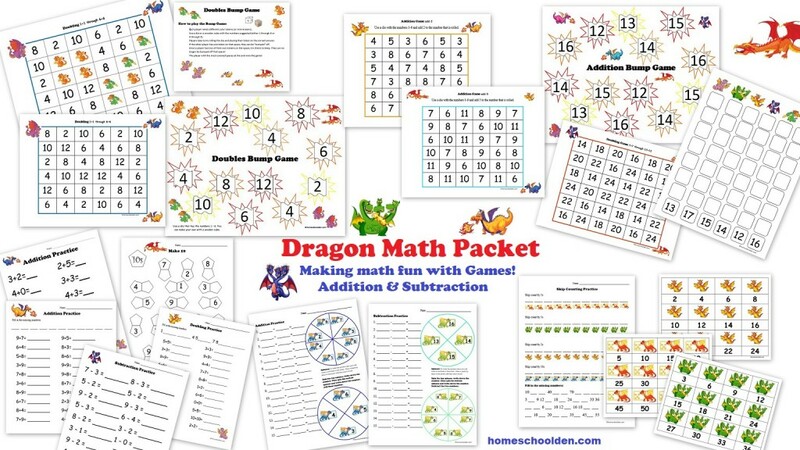 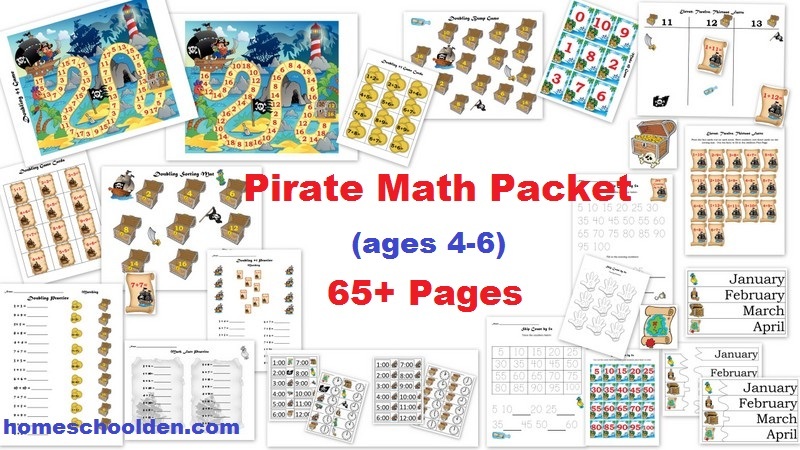 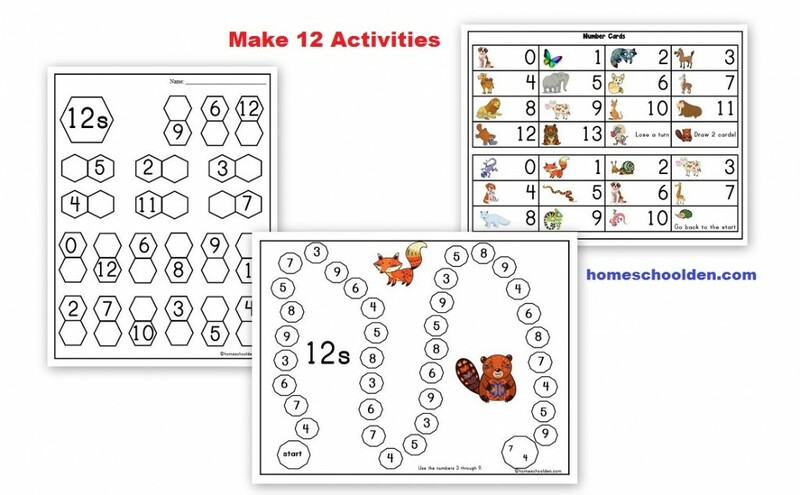 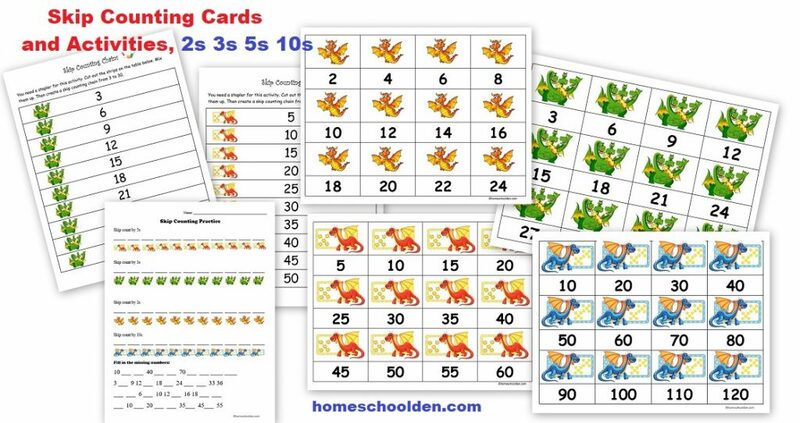 It includes a variety of math worksheets and games. The bundle currently contains 14 pdfs and is over 250+ pages (easily over 300+ pages by now!). 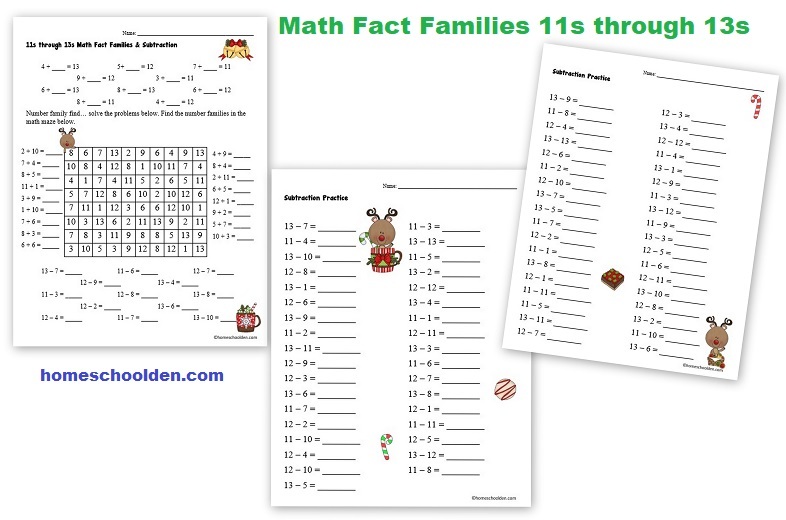 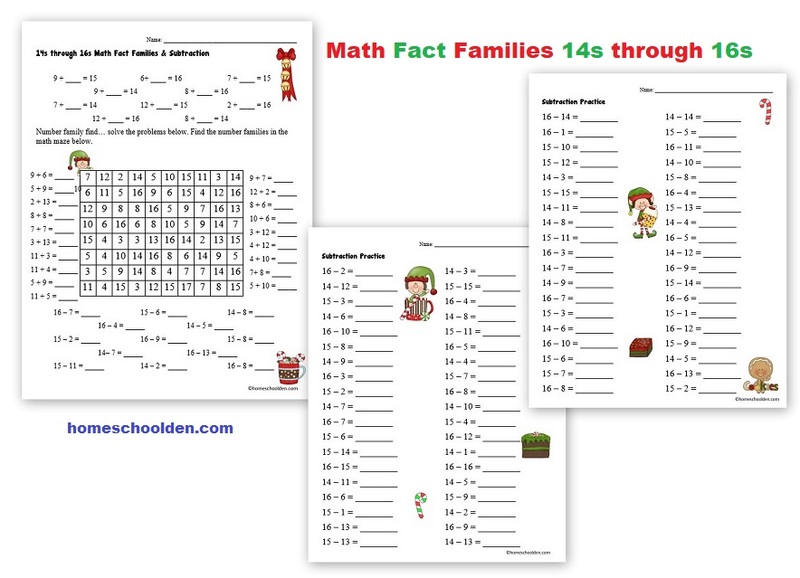 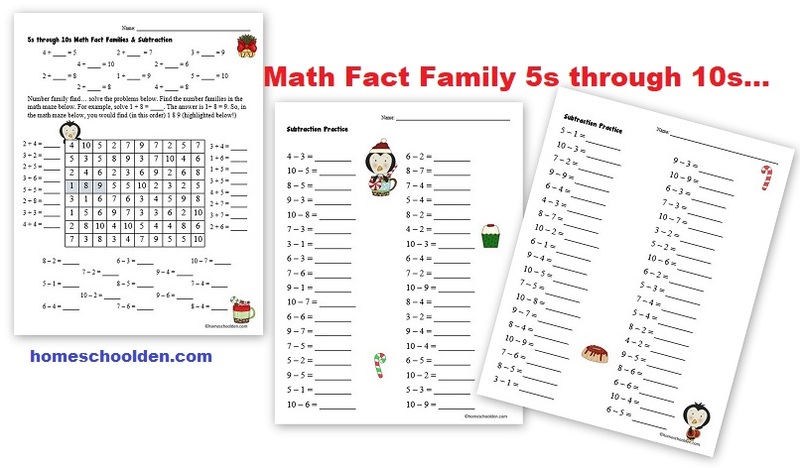 The latest Packet covers the Math Fact Families and subtraction. 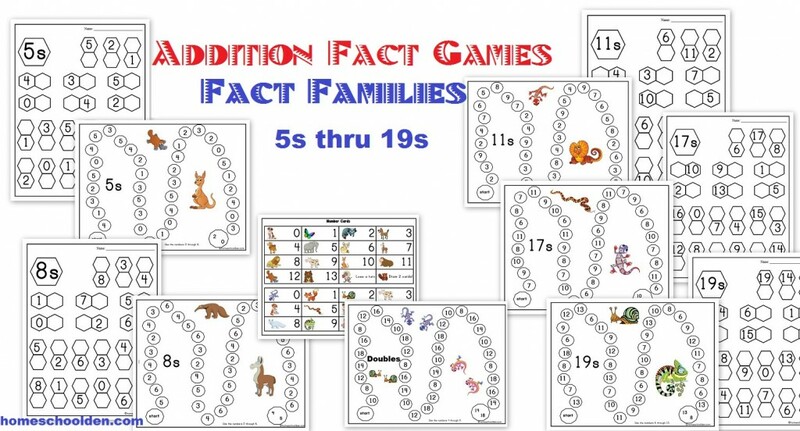 There are four sets focusing on different math fact families. 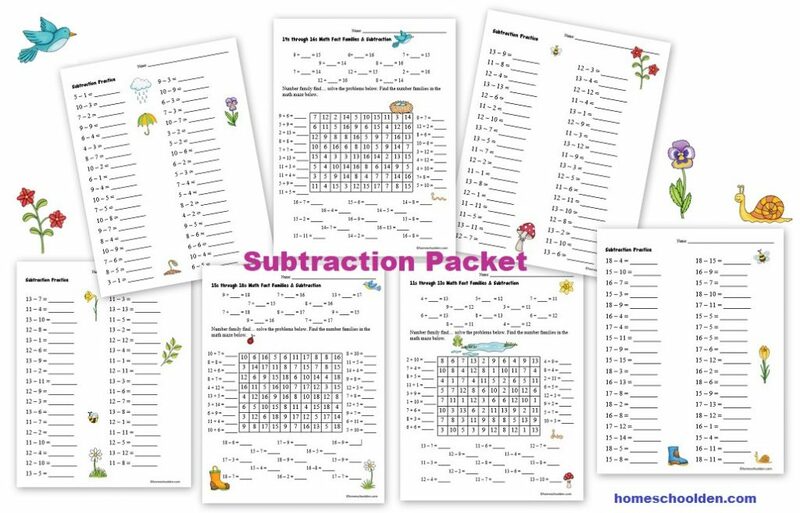 The first page includes both addition and subtraction. 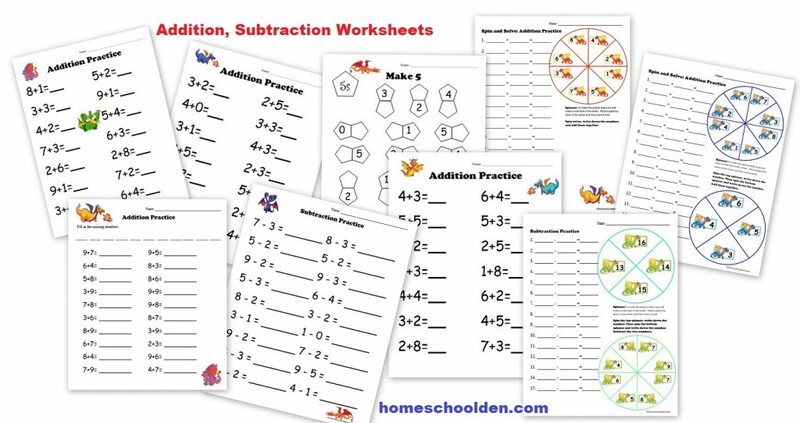 The other two pages are just subtraction problems. 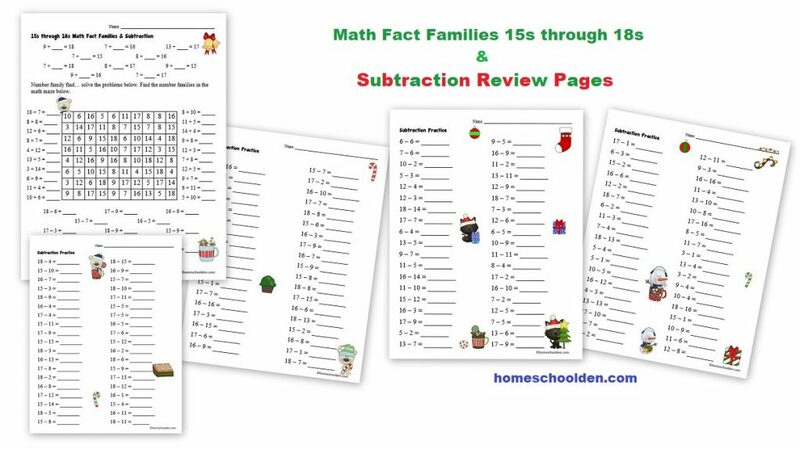 Finally, there are Math Fact Families for 15s to 18s such as 10 + 5 = ____ or 18 – 9 = ____ There are also a couple of pages that have a mixture of all of the subtraction problems covered in this packet. 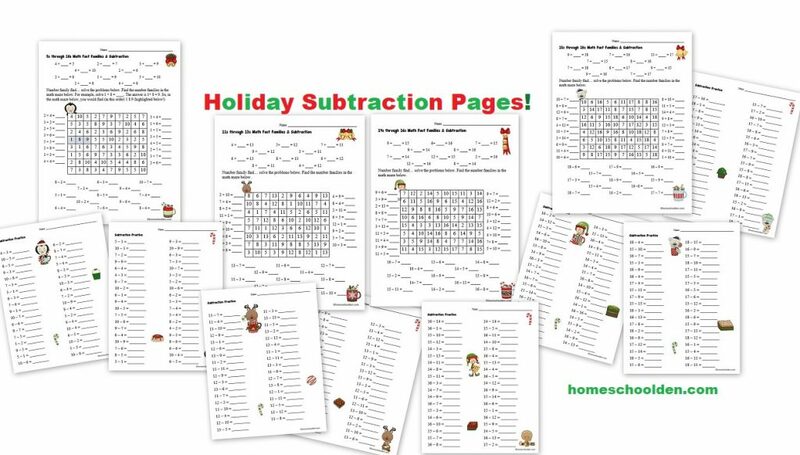 Note: I provided these exact same pages with an alternative clipart style since not everyone will be ready to tackle this material during the holiday season and also since there are homeschool families of many different faiths.